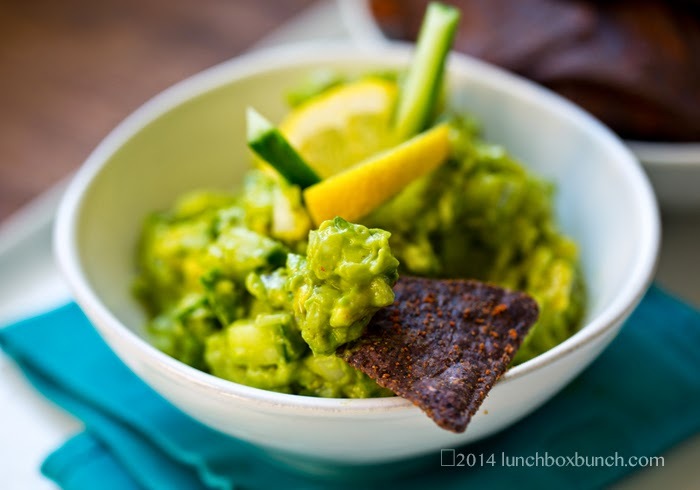 Cool Summer Guacamole with lemon & cucumber. Eat More Guac. There are two dishes that I simply must have around in the laid-back, warmed up season of summer: hummus and guacamole. Both of these easy-to-make dishes are diverse in their delicious uses. Both can be used to add flavor and nutrition to salads, sandwiches, toasts or basic snack platters for dipping! 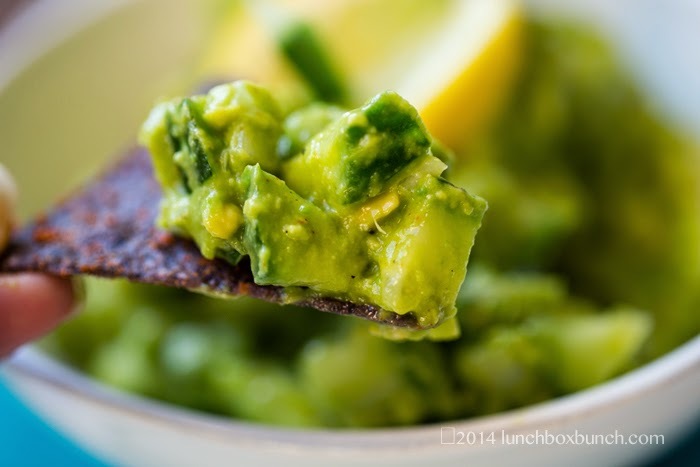 Today I share my favorite trick for lightning up my summertime guacamole. 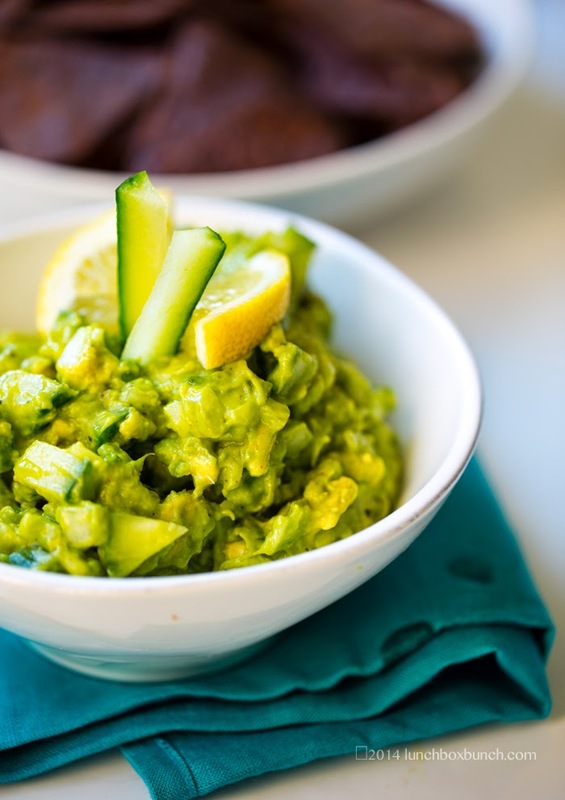 My Cool Summer Guacamole with diced cucumber and lemon adds cool texture and flavor, while easing out the caloric impact of each bite, which basically means I can eat more guac. And that makes me very happy. 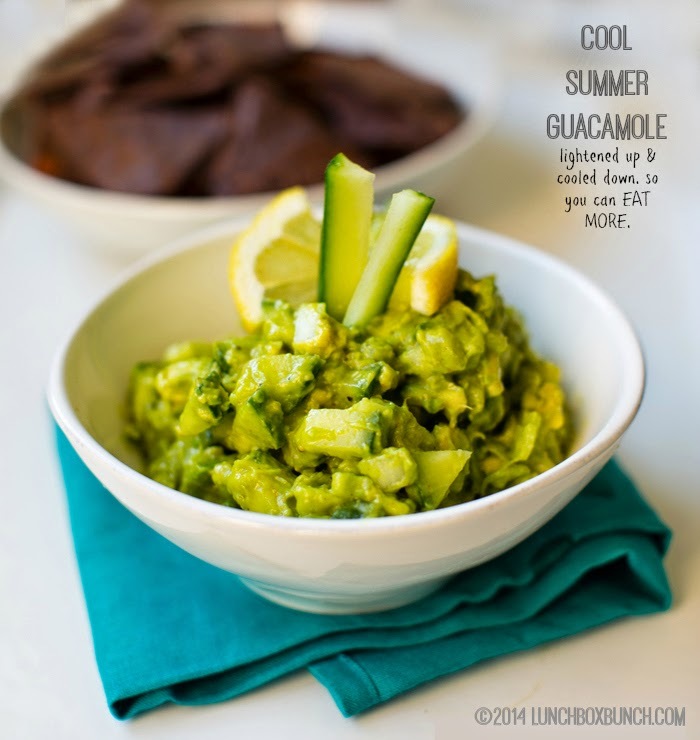 Get the recipe for my Cool Summer Guacamole!.. Super Cool. 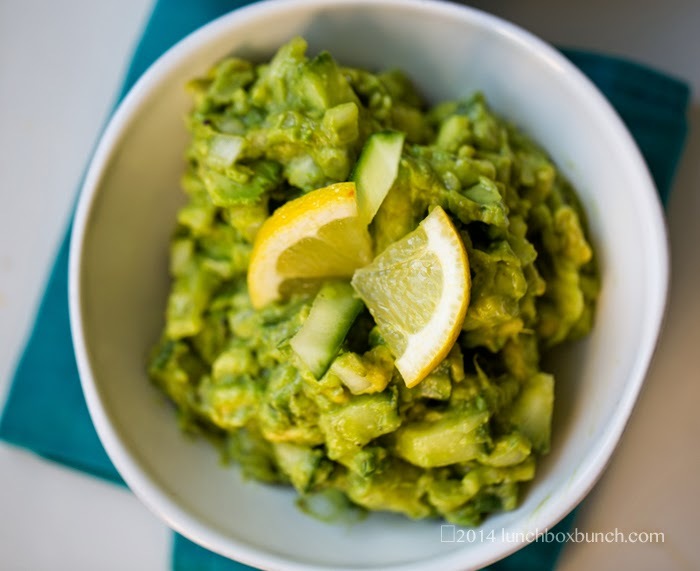 Another reason I love this recipe is that by adding chilled cucumbers to your fresh bowl of guacamole, you can actually help keep it cool, helpful if you are serving it on a hot day or outside for a summer picnic or event. Oh I LOVE guacamole. Give me a few warm corn tortillas and a giant bowl of guac and I am a happy girl. 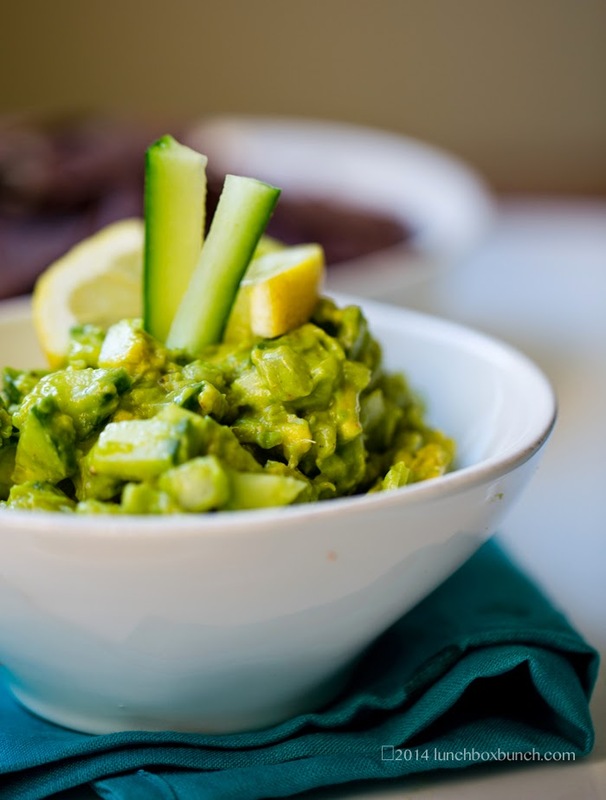 The great thing about guacamole is that it is a satisfying snack or meal component that is rich in healthy fats. 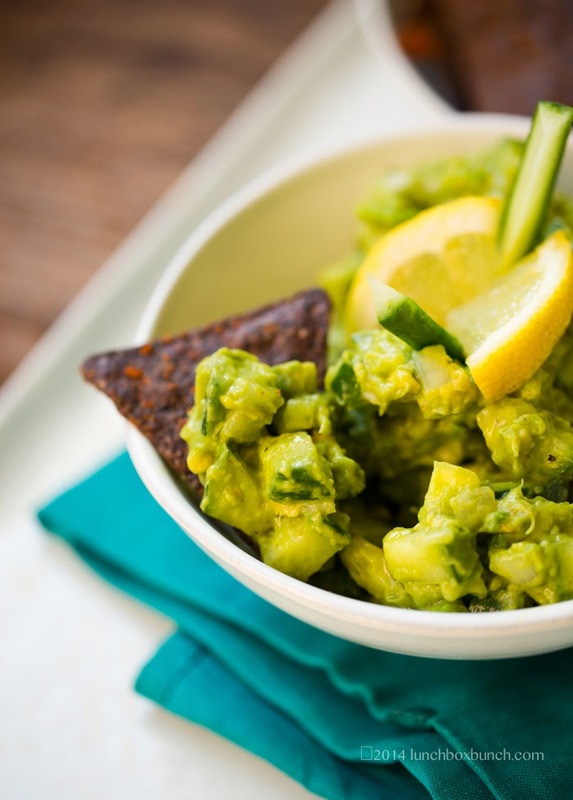 But the problem with guacamole as a snack is that it is quite calorie dense, so if you are nibbling through a party or dinner and not watching how much you are consuming, you may accidently notice that you just devoured an entire bowl in a few minutes. So by lightning up a bowl of guac, you can snack longer. Or just lighten up your normal portion size. The flavor and green color is still there. This lightened up and chilled down guacamole is flavorful and zingy, with less calories per scoop, so you can eat more. Add all the ingredients (except the cucumber) to a large mixing bowl and toss well until soft and creamy. Fold in the cucumber so that it is well coated in guacamole. Serve or chill until ready to serve - place lemon slices over top of guacamole if not serving right away, so that the top does not brown.